Windmills are used to capture wind power and turn it into electricity. 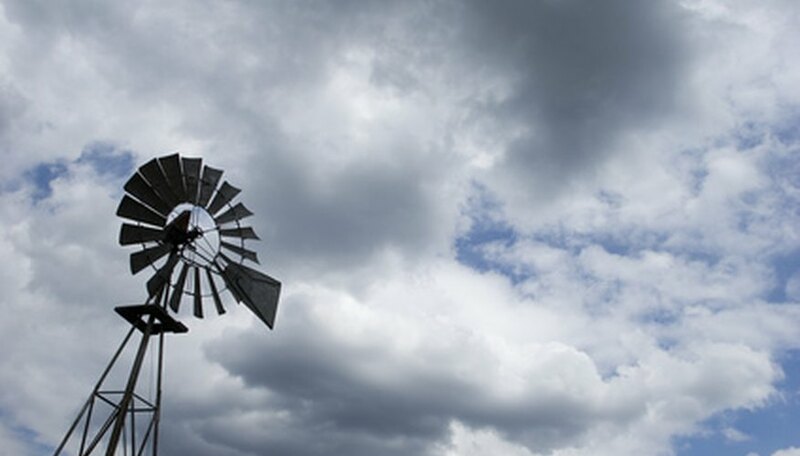 Advances in wind technology have created wind turbines in a variety of shapes, some small enough for use at individual homes. 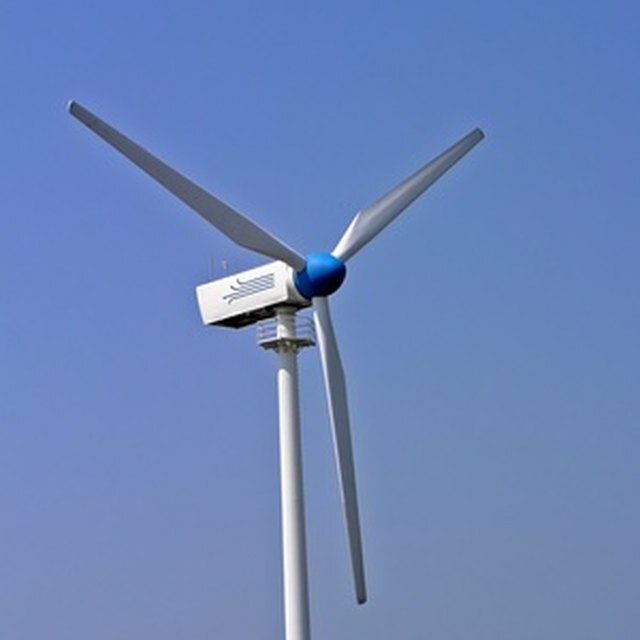 Blade size and shape have a significant impact on the power of the turbine attached to the windmill. This model illustrates the use of a traditional blade shape and how effective wind can be at creating motion. Make two holes directly across from each other on the sides of the milk carton. The holes need to be large enough for the wooden dowel to fit through. Attach the cork to one end of the wooden dowel by pressing the dowel through the cork. Dab a small amount of glue to firmly attach the cork to the dowel. Set aside to dry. Pour the sand into the milk carton. This will provide a stable base while the windmill is turning. Tie one end of the string to the paper clip and the other end on the cork. Draw two lines diagonally across the paper square from one corner to another to create an x in the center of the paper. Mark each line approximately 1/3 of the way from the center of the paper. Cut along the line from each corner to this mark. Fold every other corner into the center and tape in place to form the blades. Insert the dowel through the two holes on the milk carton. Glue the blades to the wooden dowel on the opposite end of the cork. Let the glue dry completely before blowing on the blades. If a cork is not available, the spindle from thread will also work. When the glue is dry, blow gently on the blades to make the string wind on the cork. Marcotte, Dawn. "How to Create a Small Windmill for a Science Fair Project." Sciencing, https://sciencing.com/create-windmill-science-fair-project-5985867.html. 24 April 2017.